donated trees and sheep from Pleasantville! donated trees and sheep from Pleasantville!, a photo by MadeleineS on Flickr. When I got to the studio today these guys were waiting in the mail for me. They were made by Coollinda who joined our group on the knitting and crochet network, Ravelry. 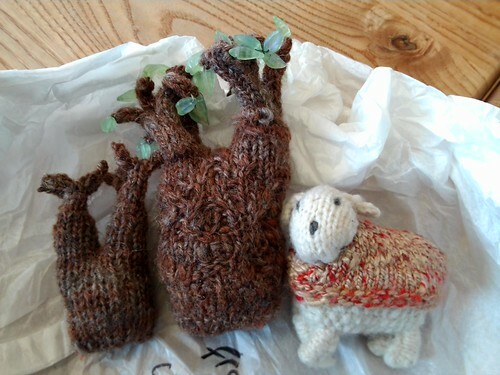 There are may more trees that have made their way to us from Ravelry folk so I say a great big thank you to all the knitters who’ve sent work for the collection!